BPT) – The holidays are just around the corner, and for most of us that means time to indulge in some favorite treats. Fortunately, healthy doesn’t have to mean less delicious! 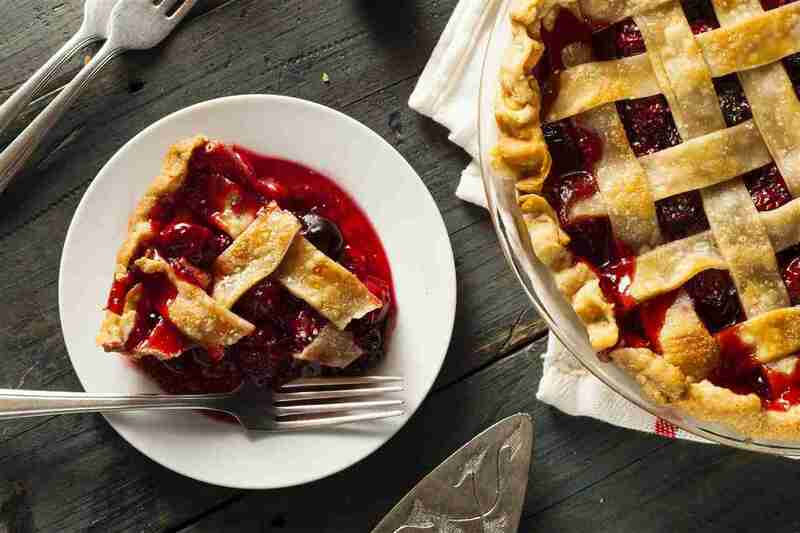 If you’re looking for a good-for-you holiday dessert that can please even the most critical sweet tooth, a naturally sweet cherry pie could be just the ticket. You can have your pie and eat it too! * Natural, healthy sweetness: Dark sweet or Rainier cherries both offer pie lovers the perfect dose of juicy sweetness without excess sugar. Cherries boast a lower glycemic index than almost any other fruit, which means they release glucose slowly and evenly, helping you maintain a steady blood sugar level, leaving you feeling full longer and maybe even helping you maintain a healthy weight. * Anti-inflammatory superpowers: Does your arthritis flair up when the temperature drops? Research shows that cherries contain anthocyanins, which shut down the enzymes that cause tissue inflammation in the exact same way that ibuprofen does. So, enjoying cherries daily may help reduce your need for anti-inflammatories. * Better sleep in every bite: Keeping your energy up throughout the busy holiday season can be a challenge, but cherries can help you sleep better and feel more rested. Studies show that cherries are a natural source of melatonin, which helps control your body’s internal clock and regulate your sleep patterns. Try eating cherries about an hour before bedtime to help stabilize your sleep cycle. * Reduced chance of gout attacks: More than 8.3 million Americans suffer from gout, a painful form of arthritis commonly associated with elevated levels of uric acid in the blood. A study by researchers at the University of California at Davis found that people who ate sweet cherries showed reduced levels of uric acid, while a study by researchers at Boston University School of Medicine showed that people who ate cherries, in conjunction with their prescribed medicine, had a 35 to 75 percent lower chance of experiencing a gout attack. * Covert cancer-fighting agents: A study by the USDA’s Western Human Nutrition Research Center suggests that cherries possess cancer-fighting properties as well. Cherries contain ellagic acid, which appears to be a potent inhibitor to the growth of cancer cells. * Boosted fiber intake: It’s no secret that Americans don’t eat enough fiber — in fact, many of us are fiber deficient, falling short of the 25-35 grams per day recommended by the USDA Dietary Guidelines. Eating cherries can help you reach the current dietary recommendation of two cups of fruit daily and can contribute to healthy weight maintenance, diabetes prevention and improved cardiovascular health. 1. Using a fork, whisk together the cherry water and cornstarch in a small bowl, then set aside. 2. Stem and pit the cherries, if not already done. 3. Fill pie dish with cherries and blend the remaining volume (about 2 cups or 1/4 the total volume) into a puree. Pour the remaining whole cherries into a mixing bowl and return to the refrigerator (if using frozen cherries). 4. Using a heavy-bottomed pan, gently heat the puree and sugar over low heat until the volume has reduced by 1/3 to 1/2. Constantly stir across the bottom to prevent burning. 5. Once reduced, remove from the heat and stir in the cornstarch slurry until the mix regains translucency. Gently and briefly reheat if needed. Stir in the extract and let the mixture cool to room temperature. 6. Pour the cooled mixture over the whole cherries, gently stirring to incorporate. Pour the final cherry mixture into a 9- or 10-inch prepared pie crust, and top with a second crust. Pinch, crimp and vent the top crust. Brush with a beaten egg if so desired and sprinkle lightly with coconut sugar. 7. Bake at 375 degrees for 55-60 minutes, or until the crust is golden brown and the filling is steadily bubbling. Aluminum foil may be used around the crust edges to prevent browning during the second half of the bake. Transfer the pie to a cooling rack, and most importantly, allow the pie to cool completely before serving (3-4 hours).